Volume conductive papers are practical and sustainable ressources for building quickly small Force Sensing Resistors, but other electrically resistive materials exist. Volume conductive papers have a relatively homogeneous electrical conductivity ranging between 1kOhms/Square and 100kOhms/Square. 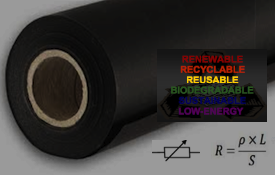 These materials roughness, porosity and shape-memory are especially usefull when used as piezoresistive materials under various kinds of design. Conductive papers enable the production of a large variety of electronic components such as touch sensors and finger size force sensor. Step 1) Sizing and cutting Step 2) Mount & Test Step 3) Conditionning Step 4) How to use it? Take a band of resistive paper of around 1 cm width and twice the length of your sensor's width. Paste a band of copper tape 100K paper. Check the resources specs for more information before setting up connectors. Connectors and wiring can be made with many types of materials from conductive paper clips to a variety of metal foils, tapes or else conductive textiles. Working with conductive paper, tin-plated copper tape is the perfect materials for designing and fixing connecting pads and tails and even small circuits. 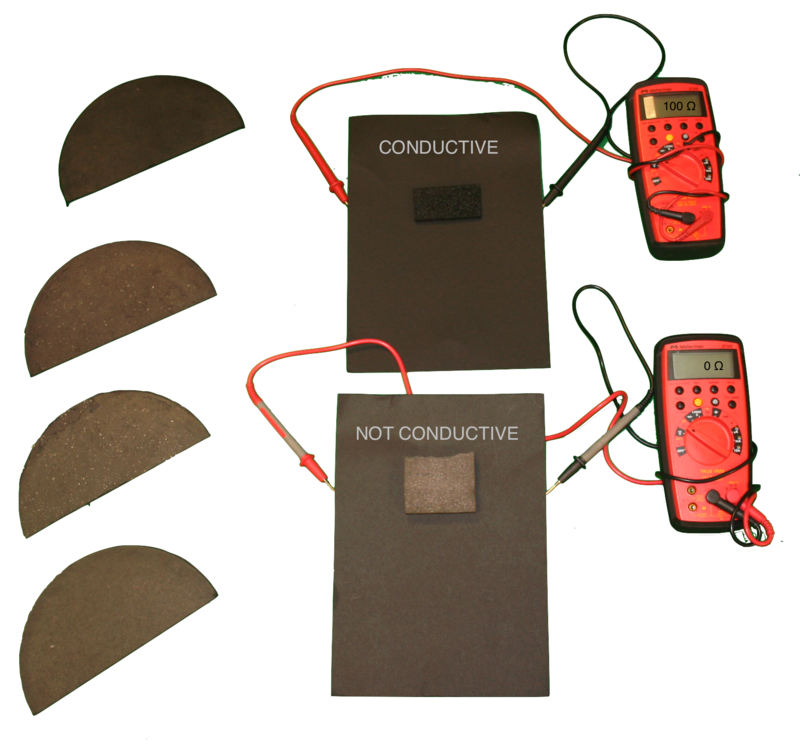 Check the various examples of sensors designs to be produced with conductive papers, produce your own and test its resulting conductivity. Step 4) How to use it? Paper-based components should only be used for low power electronics (e.g. 5Watts), and should never be left plugged to a power source when not used, as for any electronic device for security reasons and energy savings. 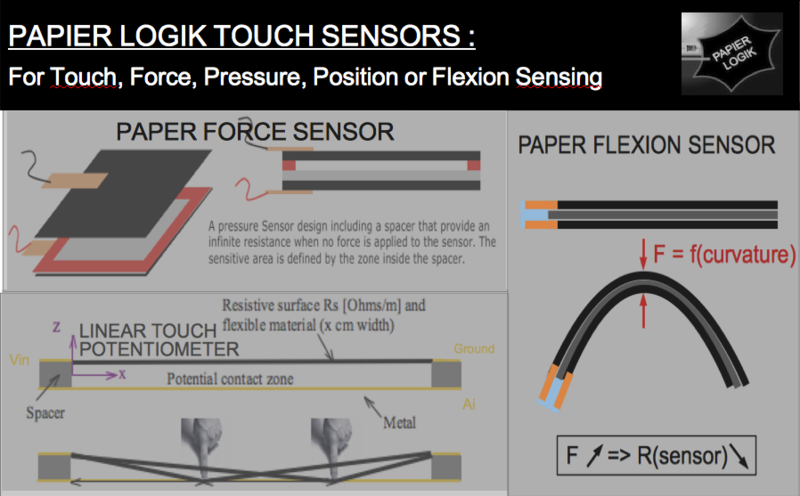 Check the various examples of sensors designs to be produced with conductive papers.